Retired High Court Judge John Cooke will conduct the independent inquiry. THE RETIRED HIGH Court Judge John Cooke will conduct the independent inquiry into the GSOC surveillance controversy, it has been announced. The Department of the Taoiseach said that Cooke will conduct the inquiry into “reports of unlawful surveillance of the Garda Siochana Ombudsman Commission”. The terms of reference for the inquiry have also been released. 1. To establish a chronology and identify the sequence of events and facts leading up to and relating to the Public Interest Investigation pertaining to security concerns commenced by the Garda Siochana Ombudsman Commission pursuant to section 102(4) of the Garda Siochana Act 2005 on or about the 8th October 2013. 2. To examine all reports, transcripts, records, minutes, correspondence and documentation and consider any oral or other evidence as is deemed relevant to the aforementioned Public Interest Investigation. 3. 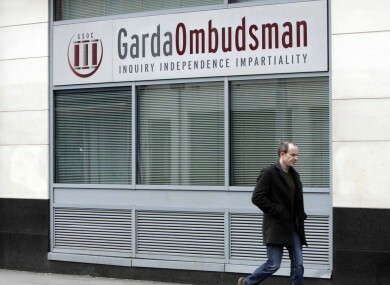 To review and assess any evidence of a security breach or attempted security breach at the Garda Siochana Ombudsman Commission as informed by, inter alia, the chronology and facts established at 1 above, or arising from the examination at 2 above, and as may have occurred at any time up to 18th February 2014. 4. If appropriate, to make recommendations regarding measures to improve the existing security arrangements of the Garda Siochana Ombudsman Commission for the purpose of addressing risks to data and communications identified in the course of this Review and to ensure the integrity and security of their data and information in the interest of maintaining public confidence in the ability of GSOC to discharge its statutory functions in the public interest. 5. To make any other recommendations, whether in regard to legislation or otherwise, as may be considered appropriate arising from the Review aforesaid into this matter. 6. To Report on the above matters within 8 weeks or as soon as may be thereafter. Today, Minister Alan Shatter appeared before the Oireachtas Public Oversight and Petitions Committee, where he said that his “only interest is that we get at the truth”. Email “GSOC surveillance inquiry to report on findings within eight weeks”. Feedback on “GSOC surveillance inquiry to report on findings within eight weeks”.